You can access the full South Carolina Employment Law Manual (over 50 state-specific reference resources) and Employee Handbook templates (over 10 state-specific handbook policy templates) below, as well as view key state and municipal deadlines, additional state-specific resources and links to key municipal coverage. Does This Law Apply to My Organization in South Carolina? Funding would go out under a federal program intended to temporarily expand the service capacity of dislocated worker training and employment programs in response to large, unexpected economic events that cause significant job losses. Updated to reflect notice requirements under the Pregnancy Accommodations Act, effective September 14, 2018. Updated to include notice-posting requirements in the Pregnancy Accommodations Act, effective September 14, 2018. 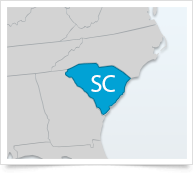 A round-up of the comprehensive state coverage XpertHR offers to help South Carolina employers ensure they are compliant with state HR and employment laws.